Schmidt was taking questions at the Gartner Symposium/ITxpo 2013 on Monday, and a number of his quick-fire responses against competing products gleaned laughter from the audience, ZDNet reports. None more so than his claims about Android security, and how it’s safer than the iPhone. “Not secure? It’s more secure than the iPhone,” Schmidt promptly replied. Google has certainly made efforts to improve Android’s security with every release, and despite worrying reports about malware and other vulnerabilities, users can easily ensure that their devices are safe by simply not downloading software from untrusted sources. In the latest versions of Android, there is a built-in malware scanner that automatically checks apps for any malicious code before they are installed. 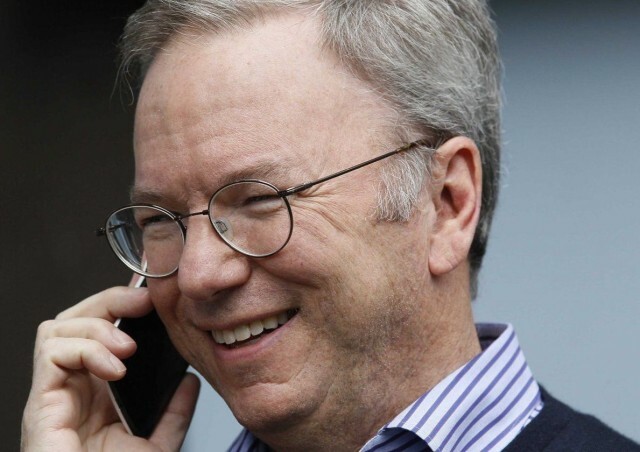 Ironically, Schmidt himself only recently became an Android user — despite being Google’s chairman since 2011, and the search giant’s CEO for ten years before that. Earlier this year, he admitted he was a BlackBerry user and fan due to their trademark physical keyboards.